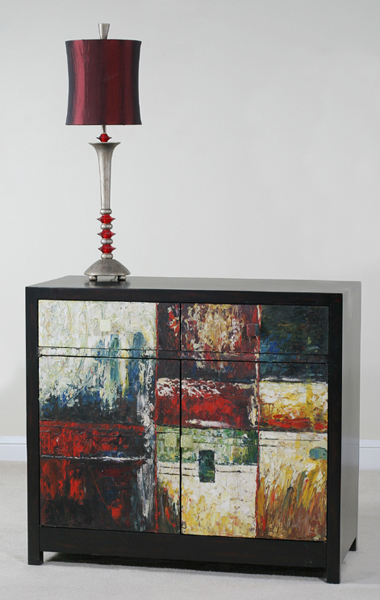 Description: This Contempoary Credenza has 2 Felt Lined Drawers and 2 Doors w/1 adjustable shelf behind each. The painting on the front is heavily textured just like the original oil painted it was inspired by. The case is a rubbed black finish.